A table with high-income class students. The students were given a nice meal with fine silverware. Photo provided by Bryce Takenaka. The Public Health Student Association hosted an interactive banquet in the AB Leadership room in the Spellman Center on Wednesday night. 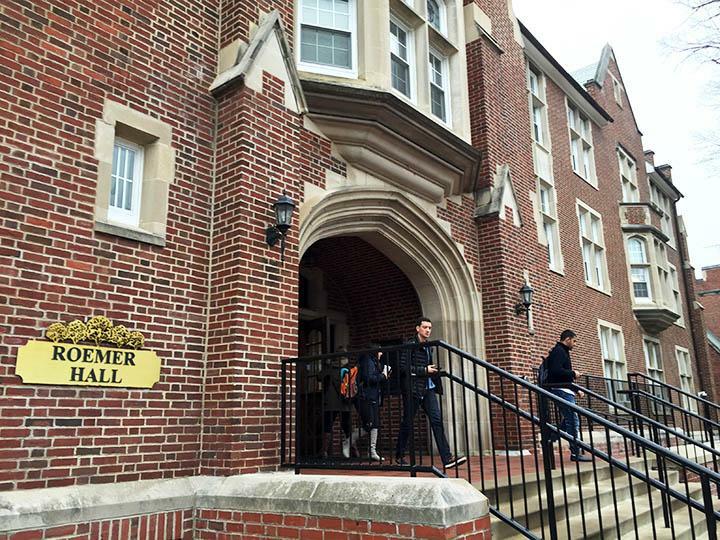 “On the menu: Food for thought” was the slogan the PHSA students used. The dynamic was simple: guests enter the room and get a ticket at random, assigning them to a socioeconomic status. Guests assigned to the high-income class received a gourmet meal served on fine dining silverware while sitting at a table with a linen cloth. Middle class guests were served rice and beans and sat at a table with a cotton tablecloth and finally, the low-income class received a bowl of rice and ate on the floor. 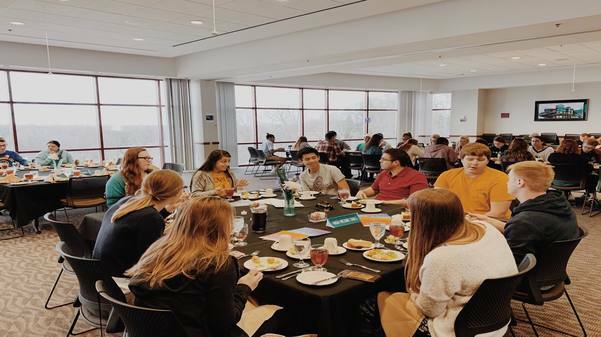 Throughout the meal, PHSA students approached the tables to ask questions and start discussions to raise awareness about hunger, global poverty and food insecurity. The main goal was to encourage critical reflection and consideration of ways to fix these issues. Dr. Nhial Tutlam was the keynote speaker for the night and shared his experience with hunger and poverty in South Sudan. Public Health students Janja Kovacic, Bryce Takenaka, Brady Smith and Erin Neir contacted Oxfam to sponsor the event. Once the event was approved, Oxfam sent campaign flyers, videos, posters and other materials to help the students run the event. This is the first event the PHSA organized this year. Some of the challenges the students faced were requesting funds from LSG and presenting their case in order to get approved. Because of the great feedback, the event is coming back next year. Takenaka added that many of the students in the low-income class expressed their gratitude for the privileges and opportunities they have in their life.